You may find it odd that I’m now telling you about translating my book and what I’ve learned from that, when I haven’t even delivered Part Two of “How to Write a Book.” But that is just how I work, jumping from one thing to the other as the breeze carries me (and wherever my creative energy might be at the moment, or might not be, for that matter). Might as well come clean with you about that. The reason I have plans to translate Kilimanjaro Diaries is this: Amazon Germany only recently announced the creation of its own Print-on-Demand (POD) arm, similar to CreateSpace in the U.S., and is eager to publish new works. So I thought, perhaps it’s a good idea to get in on the ground level while there isn’t a huge selection of books, making mine stand out a smidgen more than it normally might. Plus, Germans LOVE to travel, and ergo German readers must LOVE to read travel accounts. 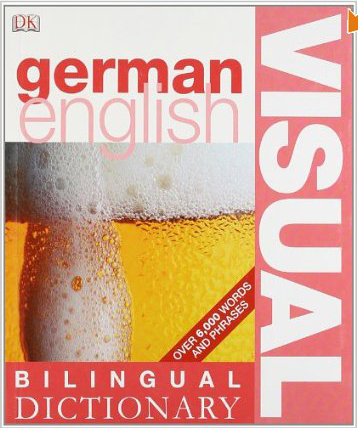 And even though many speak fluent English, they’d much rather read their books in German. All in all it sounds like a good marketing opportunity. I am German, so I can translate – how hard can it be? It turns out the Germans have a habit of changing proper names as it pleases them. Which you can’t really blame them for, considering they’re often on the receiving end of this too (“München” being”Munich” in the English-speaking world, for instance). At any rate, for the German traveler “Mozambique” becomes “Mosambik,” Zanzibar” is changed into “Sansibar,” and “Kilimanjaro,” lo and behold, has been saddled with five consonants in a row to become “Kilimandscharo.” Three extra letters that weren’t there before, meaning I’ll have to change margins and page sizes just to squeeze them all onto my title page. As I started typing, I had to make a decision: Do I switch to a German keyboard, allowing me to type all the Umlaut characters as they occur, as well as the proper quotation marks (German opening quotes are below the text, not above)? But where the hell ARE the quotation marks now? Everything is changed around! Switching the keyboard, you see, is easy (press ALT+SHIFT at the same time, in case you didn’t know – it took me forever to find out about that), but that doesn’t mean that it’s now labeled for you. I have since hunted unsuccessfully for such elusive characters as single quotes, and I have pulled out my hair over having to toggle back and forth every few seconds, always sighing a big sigh of relief when the familiar English keyboard makes a reappearance. Then there are such minor differences as where to put punctuation marks within quotes. On this one, the Germans, I’ve learned, are firmly siding with the British, putting such things as periods and commas OUTSIDE the quote (i.e. “This is driving me crazy”, he said) which, when you think about it, really makes a whole lot of sense. The Americans, so I recently learned on one of my endless forays into the underworld of grammar, put them inside the quote, apparently for the only reason that in the olden days there was some kind of technical snafu having to do with typewriters and the different wearing out of keys. Honestly, that’s what I’ve read. Where in these two camps do my readers fall? I certainly don’t know them intimately. I don’t even know their names. Many of them will be older than me, and my German breeding makes it feel presumptuous to unilaterally go “per du.” But addressing them like I would my mother’s acquaintance or my teacher? That seems overly formal and stilted. My book, conversational and chatty by nature, might gain an entirely different flavor by adhering to such formalities. And yet adhered to they apparently are in the world of book publishing. I consulted one of my role models when it comes to travel writing, Bill Bryson, by taking a peek at his German translations, and there he was, formal and stilted in my Mother Tongue, sounding all weird and wrong. Interesting points–I’ve wondered about these sorts of issues when I’m reading non-English works, but hadn’t thought about the trouble I’ll have translating my English writing into other languages. Yes, you really only think of all the details once you start doing it. And apparently the customs change over time, so you have to sort of stay on top of it, or you risk sounding old-fashioned. I’ve been informed that in German books nowadays it’s perfectly fine to use the informal “you”, that in fact using the formal kind would seem pretty stilted and old-fashioned. And here I thought as a German I was qualified. Languages change all the time, it turns out.